Under King Offa, the Mercians defeated the Northumbrians, but the Mercian rule lasted only as long Offa remained in control. The Mercians were replaced by a line of West Saxon kings, including Ine (688-725); Egbert (802 -839), and Alfred the Great (871-901), who subdued the Mercians. During Egbert’s rule the West Saxons attained supremacy for both Northumbria and Wales accepted Egbert as their lord, and East Anglia sought his protection. Meanwhile, the Danes penetrated the country, and Egbert’s successors felt the full force of the Danes’ strength. Aethlred, Egbert’s grandson lost his life in 871 to the Danish force. 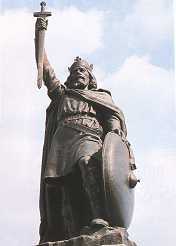 However, Alfred the Great defeated the Danes at Ethandun in 878. Alfred set off a separate piece of land, called a Danelagh, for the Danes. His come back and great victory at Edington in 878 secured the survival of Wessex, and the Treaty of Wedmore with the Danish king Guthrum in 886 established a boundary between the Danelaw, east of Watling Street, and the Saxons to the west. The Anglo-Saxon Chronicle says that following his capture of London in 886 ‘all the English people submitted to him, except those who were in captivity to the Danes’. In some respects, therefore, Alfred could be considered the first king of England. A new landing in Kent encouraged a revolt of the East Anglian Danes, which was suppressed 884–86, and after the final foreign invasion was defeated 892–96, Alfred strengthened the navy to prevent fresh incursions. Alfred’s successors continued the conquest of Britain. 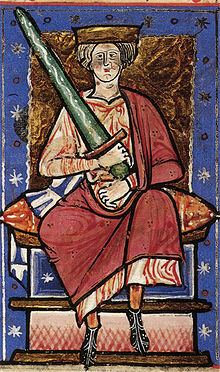 Edward recovered East Anglia, Essex, and much of Mercia. His son Aethlstan overcame the Scots, Welsh, and Danes. Under Edred, the Danes were subdued to the level of peaceful subjects of the kingdom. An unlikely reformer was the monk known as St. Dunstan. 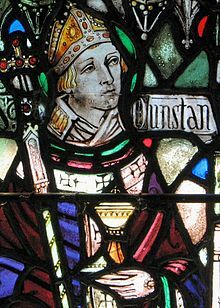 “Dunstan (909 – 19 May 988) was an Abbot of Glastonbury Abbey, a Bishop of Worcester, a Bishop of London, and an Archbishop of Canterbury, later canonised as a saint. His work restored monastic life in England and reformed the English Church. His 11th-century biographer, Osbern, himself an artist and scribe, states that Dunstan was skilled in ‘making a picture and forming letters,’ as were other clergy of his age who reached senior rank. Under King Edgar, local self-government grew. When Aethelred the Redeless came to the throne, the local aldermen declared their own independence. Royal power took a nose dive, so to speak. The Danes again revolted. Aethelred received no assistance form his nobles against the Danes, so in 1002 on St. Brice’s Day, Aethelred ordered a massacre of Danish settlers. Soon, Aethelred was deposed. At Swein’s death, Cnut became the Danish chief. He was opposed by Edmund Ironside and London, with whom he signed a treaty. With Edmund’s murder, Cnut became sole ruler. He reigned from 1016 – 1035. The English line returned after Cnut’s death. Cnut’s two sons died without heirs, and Edward the Confessor, son of Aethelred, became king. Edward was a Norman, and he brought many Normans to England with him, and they wielded a great influence in affairs of state. After Cnut’s death, the deaths of his heirs within a decade, and the Norman conquest of England in 1066, his legacy was largely lost to history. Historian Norman Cantor has made the statement that he was “the most effective king in Anglo-Saxon history”, despite not being Anglo-Saxon. Edward the Confessor was King of England from 1042. He lived in Normandy with his mother Emma of Normandy’s relatives until shortly before his accession to the English Throne. During his reign power was held by Earl Godwine and his son Harold, while the king devoted himself to religion, including the rebuilding of Westminster Abbey (consecrated in 1065), where he is buried. Godwine, the Earl of Wessex, opposed the Normans, and was, therefore, exiled in 1051. The Normans were unpopular. Therefore, Godwine returned to England in 1052. Godwine’s son Harold becomes principal adviser to the King Edward in 1053. Harold succeeded his father as Earl of Wessex with his Godwine’s death in 1053. At that time, Wessex covered the southern third of England. Earl Siward died in 1055 and Earl Elfgar in 1062, providing Godwine’s children with the opportunity to assume control of Britain. Tostig assumed the earldom of Northumbria. 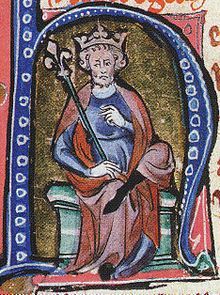 Harold succeeded Edward the Confessor as King. That is until he was defeated in the Norman Conquest. In 1064, Harold visits William of Normandy and swears an oath to support William’s claim to the throne. At the end of 1065, King Edward the Confessor fell into a coma without clarifying his preference for the succession. He died on 5 January 1066, according to the Vita Ædwardi Regis, but not before briefly regaining consciousness and commending his widow and the kingdom to Harold’s “protection”. The intent of this charge remains ambiguous, as is the Bayeux Tapestry, which simply depicts Edward pointing at a man thought to represent Harold. When the Witenagemot convened the next day they selected Harold to succeed, and his coronation followed on 6 January, most likely held in Westminster Abbey; though no evidence from the time survives to confirm this. Although later Norman sources point to the suddenness of this coronation, the reason may have been that all the nobles of the land were present at Westminster for the feast of Epiphany, and not because of any usurpation of the throne on Harold’s part. In early January 1066, hearing of Harold’s coronation, Duke William II of Normandy began plans to invade England, building 700 warships and transports at Dives-sur-Mer on the Normandy coast. Initially, William could not get support for the invasion but, claiming that Harold had sworn on sacred relics to support his claim to the throne after having been shipwrecked at Ponthieu, William received the Church’s blessing and nobles flocked to his cause. In anticipation of the invasion, Harold assembled his troops on the Isle of Wight, but the invasion fleet remained in port for almost seven months, perhaps due to unfavourable winds. On 8 September, with provisions running out, Harold disbanded his army and returned to London. On 12 September William’s fleet sailed. Several ships sank in storms, and the fleet was forced to take shelter at Saint-Valery-sur-Somme and wait for the wind to change. On 27 September the Norman fleet finally set sail for England, arriving, it is believed, the following day at Pevensey on the coast of East Sussex. Harold’s army marched 241 miles (386 kilometres) to intercept William, who had landed perhaps 7000 men in Sussex, southern England. Harold established his army in hastily built earthworks near Hastings. The two armies clashed at the Battle of Hastings, at Senlac Hill (near the present town of Battle) close by Hastings on 14 October, where after nine hours of hard fighting and probably less than 30 minutes from victory, Harold was killed and his forces routed. When Edward died in January 1066, his childlessness led to a struggle for power. The succession went first to Harold Godwinson and then to the conquest by William of Normandy nine months later at the Battle of Hastings in October 1066. This entry was posted in British history, Great Britain and tagged Alfred the Great, Cnut the Great, Edward the Confessor, England, Norman Conquest, political history. Bookmark the permalink.